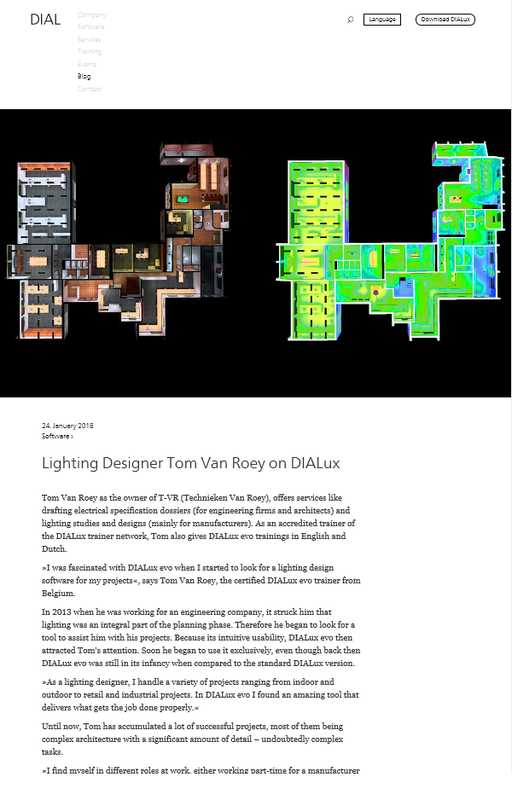 T-VR gives a beginner and advanced DIALux evo training spread over two days to the designteam of OPPLE Eindhoven. Participants are from both the Dutch and Belgian teams. T-VR gives a DIALux EVO training to the team of TECHNO SPECIALS Belgium. Congratulations te Kim Leuckx, Tom Guldemont and Didier De Waepenaere. 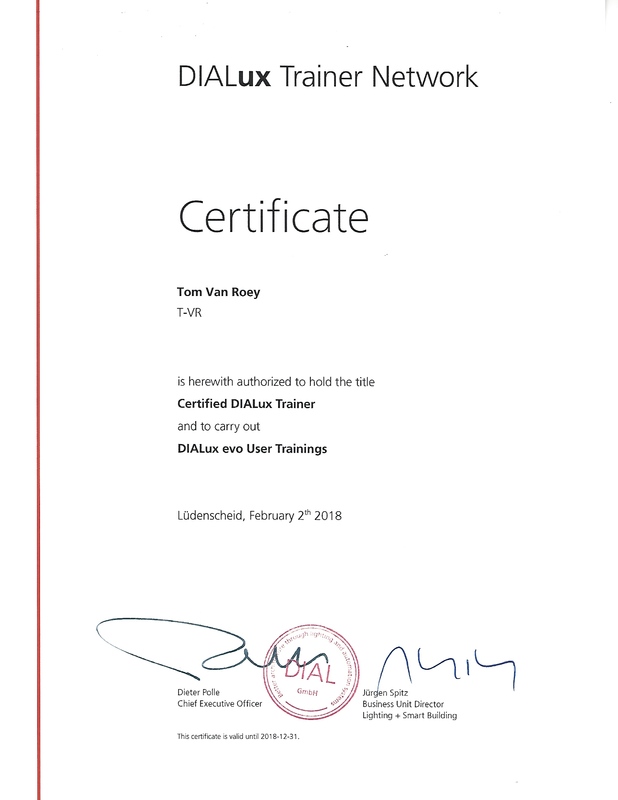 -Januari 2018- T-VR becomes a certified DIALux trainer for yet another year.